Brick officials say public works collections will be canceled on Thursday, and will be delayed by one day for all residents for the rest of the week. Meanwhile, crews are plowing streets in an attempt to clear roadways. Officials say plows clear one lane in order to create a path for emergency vehicles, then return to open up the entire street. 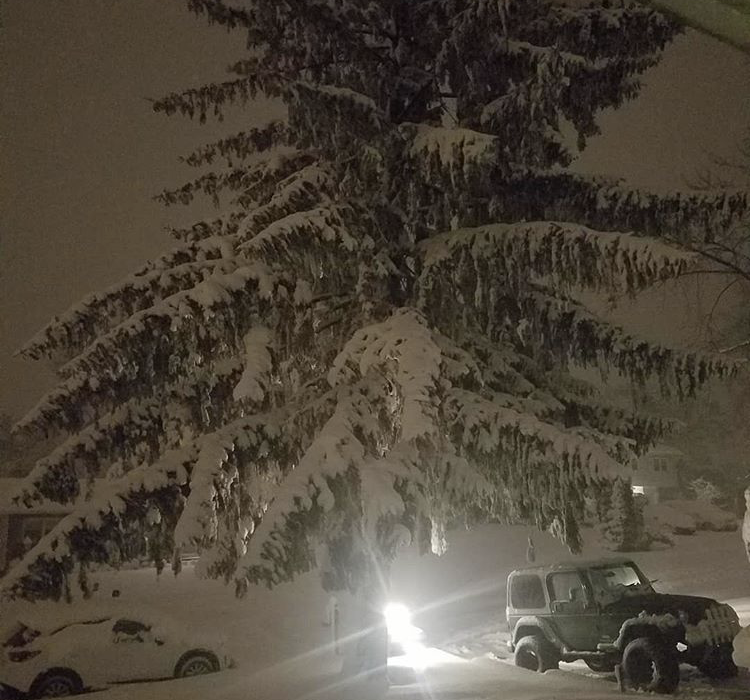 Power outages are causing the bulk of issues for Brick residents as the heavy, wet snow has weighed down tree limbs and power lines themselves. Jersey Central Power & Light reported 3,212 customers were out of power overnight, about 10 percent of the township’s electrical customers. The company said it was still “assessing damage” and sending out repair crews. One such outage was spurred by a transformer that blew near the intersection of Herbertsville and Thiele roads. Brick schools are closed Thursday, and all recreation programs, including Early Childhood classes, are cancelled for Thursday.